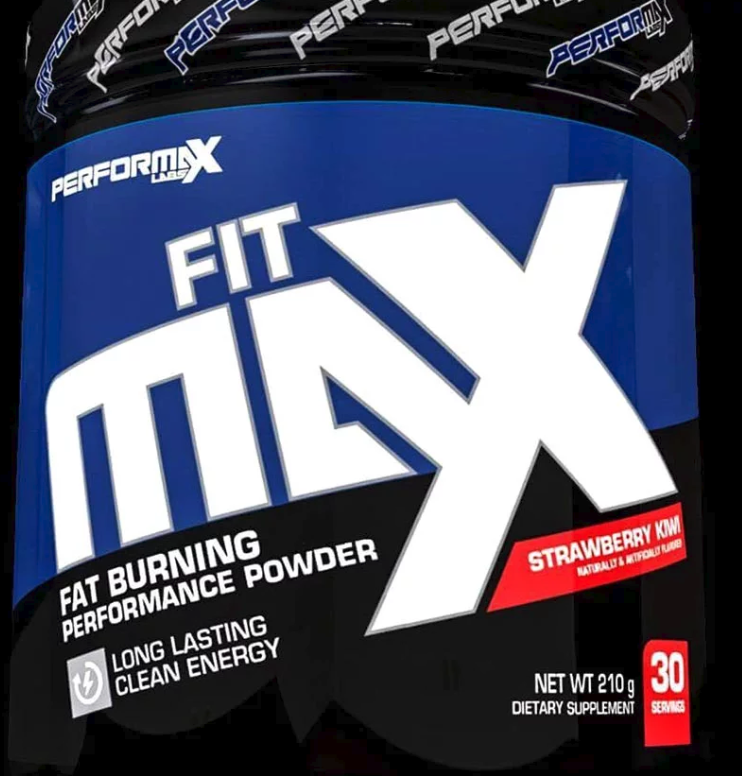 Jul 30, 2018 Performax Labs FitMax Powder Review: Nailed It! Jan 15, 2018 Performax Labs FitMax: Taking Weight Loss Drinks to the MAX! Clean Energy! Appetite Suppression! Increased Focus, Performance With Consistent Weight Loss! Fat loss is an important goal for achieving the body that we want. Whether your goals are based on performance, attractiveness, or overall health, losing fat can help you run faster, look better, and feel great. While there are many purported fat burners on the market, none have been formulated by carefully combining the best ingredients that have been scientifically proven to work together synergistically – until now. That is why Performax Labs is proud to bring you FitMaxTM, the fat burner designed using cutting-edge research to help you achieve your body composition goals. With scientifically-backed synergy like the patented, proven ingredient Teacrine combined with caffeine, FitMaxTM will promote optimal fat burning while providing a clean boost of energy throughout the day. • Teacrine – Derived from tea, this natural purine alkaloid promotes cognitive enhancement, providing clean, all-day energy. • Caffeine – A popular stimulant with fat burning effects, it also increases the concentration and effectiveness of Teacrine when combined. • Carnitine – Carnitine is an essential transporter of fatty acids into mitochondria where it can be metabolized and used for energy. • Choline – An essential brain nutrient, choline can improve saturation of carnitine in muscle tissue to optimize its fat burning potential. • Citrus Aurantium – Bitter orange is a natural source of synephrine, which has been shown to enhance weight loss via increased calorie burn. • Rhodiola rosea – A popular adaptogen, Rhodiola has demonstrated synergistic benefits with Citrus aurantium, resulting in enhanced fat loss and neurotransmitter action. The keys to this formula are in its precise combinations of ingredients backed by science. For example, Rhodiola rosea provides anti-stress and adaptogenic benefits that pair perfectly with the neurotransmitter enhancement of Citrus aurantium. Therefore, the effects of both are enhanced so that more fat is burned, and the increased clarity and focus feel cleaner with no side effects. Overall, the result is optimized body composition with a focus and energy boost that is clear and long-lasting. If fat loss is your goal, then choose the science and synergy of FitMax. Carnitine is essential for the body to transport fatty acids into the mitochondria to be metabolized. Not only will the mitochondria function better overall with supplemental carnitine (which equals better metabolism), but more fat will be transported and burned. Choline is an important brain nutrient that serves as a precursor to acetylcholine. Supplemental choline improves weight loss, and it works synergistically with carnitine to keep carnitine levels high in muscle tissue for metabolic optimization. Olive leaf extract has shown potent fat loss properties through a variety of mechanisms. Not only can olive leaf increase thyroid hormones, which regulate metabolism, but it also increases uncoupling proteins, which activate production of brown adipose tissue – the fat-burning fat cells! One of the most popular adaptogenic botanicals, rhodiola is typically utilized to reduce fatigue and improve cognition. Recent evidence has shown that its anti-stress mechanisms work synergistically with other compounds to supercharge weight loss. Citrus aurantium is a natural source of thermogenics. By itself or in combination with other compounds, has demonstrated effective weight loss in multiple studies. Fucoxathin is a carotenoid pigment found in brown and black seaweed. As a fat-soluble molecule, it is stored in fat cells for long periods of time, where it can beneficially induce fat loss and reduce fat cell differentiation and proliferation. Caffeine is the most widely consumed “supplement” in the world. A well-known cognitive enhancer, its effects on adrenaline, fat burning, and increasing metabolic rate make it a must in any fat-burning formula. N, N-Dimethylphenethylamine is a trace amine that modulates various neurotransmitters, with which it shares many structural similarities. Due to its specific chemical structure, N, N-Dimethylphenethylamine is safe while still providing a powerful boost in focus and mood. Teacrine is a naturally-occurring purine alkaloid that provides an excellent boost of energy and focus with no jitters or side effects. Additionally, it has shown synergy when combined with caffeine. Hordeum vulgare is a naturally-occurring source of hordenine, an alkaloid that is a trace amine active in the central nervous system. As a noradrenaline reuptake inhibitor, it increases the bioavailability and action of noradrenaline, thereby improving energy and focus. Huperzine A is an acetylcholinesterase inhibitor, which means that less acetylcholine is metabolized, so high concentrations remain in the body. Acetylcholine in an important neurotransmitter for many parts of the central nervous system, but especially at the neuromuscular junction. Rauwolfia is a natural source of rawolscine, which is a molecule very similar to yohimbine. It acts as an alpha-2 adrenergic antagonist, which induces elevated mood and energy, and weight loss.